Workforce Strategy and Analytics - Senior Analyst at Marsh & McLennan Companies, Inc.
Internal labor market analyses to identify drivers of key workforce outcomes, such as retention, engagement, promotion, and performance, and interventions an organization can undertake to influence these outcomes. Strategic workforce planning that enables an organization to balance its current and projected demand for talent against current and projected supply. Business impact modeling to identify the workforce characteristics and management practices that are the strongest drivers of business outcomes such as productivity, profitability, growth, quality, and customer retention. At Mercer, we make a difference in the lives of more than 110 million people every single day by advancing their health, wealth, and careers. 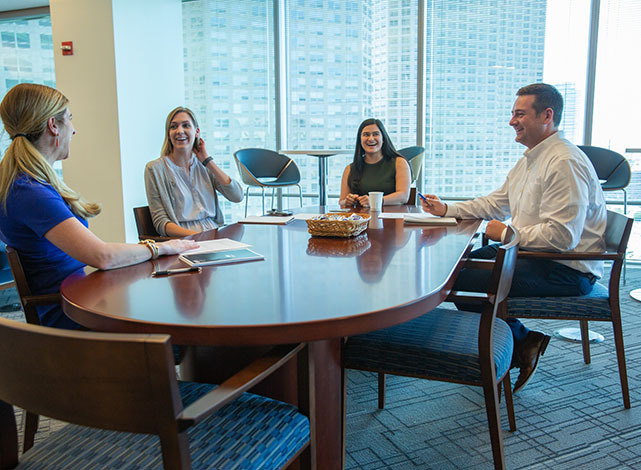 We’re in the business of building more secure and rewarding futures for our clients and their employees — whether we’re crafting affordable health plans, assuring income for retirement or aligning workers with workforce needs. Using analysis and insights as motivations for change, we anticipate and understand the individual impact of business decisions, now and in the future. We see people’s current and future needs through a lens of innovation, and our holistic view, specialized expertise, and deep analytical rigor underpin each and every idea and solution we offer. For more than 70 years, we’ve turned our insights into actions, enabling people around the globe to live, work, and retire well. We embrace a culture that celebrates and promotes the many backgrounds, heritages and perspectives of our colleagues and clients. At Mercer, we say we Make Tomorrow, Today.